Latest reports have been saying that Amber Rose and 21 Savage decided to call it quits recently and more sources have confirmed the news. There hasn’t been any official confirmation and Amber, and 21 Savage hadn’t said anything on the subject yet. Amber just posted on her Instagram account the sweetest video where she can be seen together with her and Wiz Khalifa’s son, Sebastian. ‘Hangin with my Pumpkin’ she captioned the lovely video, and her fans appreciated that she’s sharing such cute moments with them. Hangin with my Pumpkin ??? ‘So nice and clever boy, you look so proud of him, and I think you love him so much :-)’ one of her followers posted next to the video. ‘So beautiful and smart. Continue to cultivate his mind, and he will set the world on fire. ‘ anther fan gushed over the boy. Lots of fans told Maber that she has a beautiful boy who will break the ladies’ hearts when he becomes a man, just like his dad. There were also fans who asked her if she is still together with 21 Savage, but as usual, Amber avoided to answer this question, so the news is definitely not confirmed just yet. Amber was previously married to Wiz Khalifa and the two of them have remained in a good relationship, showing love and respect for each other, for the sake of their baby boy. 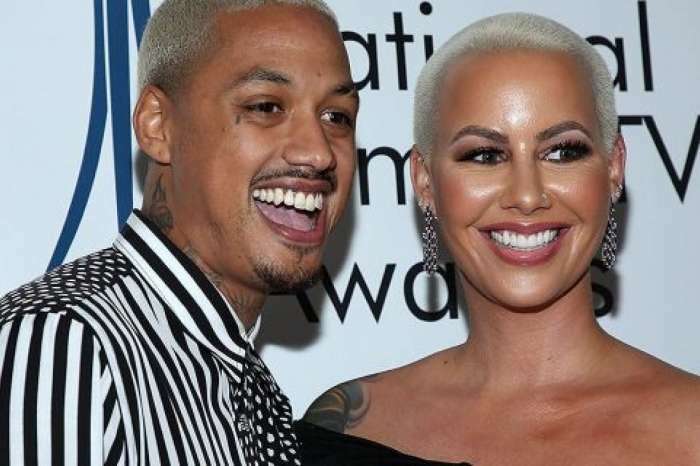 Amber Rose Can See Herself Marrying AE – Wants To Spend Forever With Him! 'Counting On' Star Jinger Duggar Continues To Rebel Against Conservative Family, But Is She Putting Her Baby In Danger?